Meet Henry Haim; father, husband, locksmith and all around good guy. Henry is a highly trained and certified locksmith. For the time that Henry has been running Henry’s Lock and Key he has helped countless people just like you to get new keys made and with all other emergency locksmith situations. His dedication to this craft and sheer desire to be an asset to the community of Austin Texas has grown Henry’s Locksmith into Austin’s most trusted and reputable locksmith business. Come and see what other people are saying on our Google+ page. Follow Henry’s Locksmith on Facebook! 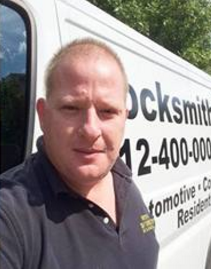 Want to learn more about Henry’s Locksmith? Come on down to our Facebook page where you will find videos, photos and the latest locksmith industry related news. See you there! Open 6 days a week. Rain or shine. Whether you are stranded outside your car or facing a lockout at home, just give us a call and we’ll be there lightening fast. If you need a locksmith to open car locks, or extract broken keys, change the Immobilizer system, we are right here. Offering services all through the year, you can be sure of immediate assistance. This is one of the reasons that we have a huge customer base that trusts our quality services. Personal locksmith services that cater to you. Our locksmith service in Austin is small enough to offer the personal touch not found in the larger locksmith services, yet big enough to be able to provide you with a full range of the latest in locking technologies. Austin Locksmith open 7am-9pm daily. Closed Sundays and Sat. We are open long hours to meet the demands of the Austin Texas area. When you call us we will be there for you. Guaranteed reliable locksmith services! Call us now (512)400-0004. We service all communities in and around the Austin Texas area.